Founded in 2016 by Dentsu Aegis Network, mcgarrybowen is positioned as a full-service agency wired for the digital age – and it impressed the judges. The fledgling agency won the gold award in the Best Newcomer category this year, as well as numerous other awards. One of its more iconic works this year was for ManulifeMove, a new insurance concept that rewards customers for exercising more by giving them discounts on their insurance premiums. The agency created an integrated platform that utilised wearable technology, and promoted an all-round ad push spanning television, online, social media, outdoor and print with outstanding results. It not only exceeded KPIs, but was awarded on various occasions. Within a year, the agency has grown from the original two founders to 45 full-time staff. It grew at a fast pace and hired one new person every five days on average. 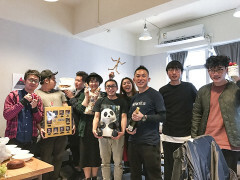 Creative agency Hungry Digital Hong Kong won silver in the Best Newcomer category with only nine team members. The agency aims to deliver social-by-design creativity and a new form of digitally led communications between brands and consumers. The agency was founded by Rudi Leung. Before founding the firm, he was the general manager of Social@Ogilvy and DDB Tribal Hong Kong and Guangzhou. The agency enjoyed exponential growth within the first eight months of business, and staff members increased from five to nine, with a zero turnover rate since it was established. Its major clients include AIA, Canon, Chanel, C!ty’super, Dyson, Giordano, IKEA, Jetstar, Log-on, Philips, Shiseido, and Somersby. In 2016, Hungry Digital launched at least 30 campaigns for its clients. A handful of these campaigns were distributed through multiple media channels from social, digital to event, print, and OOH. Opening its doors in Hong Kong in 2014, the bronze winner in the Best Newcomer category is SMS Event Marketing. Being a newcomer to a saturated market, event agency SMS Hong Kong said it has built strong client relationships and also won new business in the past 12 months. The services it provides are product launches, grand openings, media events, exhibitions, public activations, private and corporate events. SMS Hong Kong was appointed to hold the Fidelity annual dinner in 2016 within tight timelines and budgets, while delivering a quality service. Fidelity has now offered the agency opportunities for larger regional events in the future. The team has grown from two to eight staff members. SMS Event is based on three core values: creativity, service and quality. 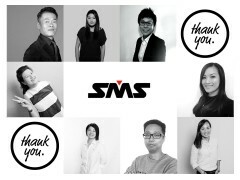 Founded in 2001 in Taipei, SMS Event has since opened offices in Taipei, Beijing, Shanghai, Hong Kong and Seoul. 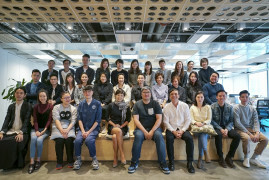 Established in Hong Kong in September 2014 with three directors, Grain & Pixel has grown to a regional agency spanning four offices and 25 employees, and made it as a finalist in the Best Newcomer category. In the past two-and-a-half years, it has worked with more than a dozen multinational corporations from different industries with a presence in Hong Kong, Mainland China and Australia. Its services include developing creative concepts, strategies and campaigns, as well as designing content, apps, software, and hardware sourcing, maintenance, support and logistics. Some of its key clients include Hewlett-Packard, Coca-Cola, Lincoln Motor Company, Johnnie Walker, PricewaterhouseCoopers, adidas, Nokia and Microsoft. Notable campaigns over the past 12 months included CLP’s low carbon energy education centre, for which the agency provided creative strategy, software development, hardware consultancy and supply, as well as interior design, installation and on-site support. A finalist in Search Agency of the Year, Best Newcomer and Boutique Agency of the Year, SearchGuru, established in November 2015 in Hong Kong, is a newcomer to the local market and industry. Its key product offering includes search engine marketing, search engine optimisation, display marketing, re-marketing, paid social, content, creative and web development. 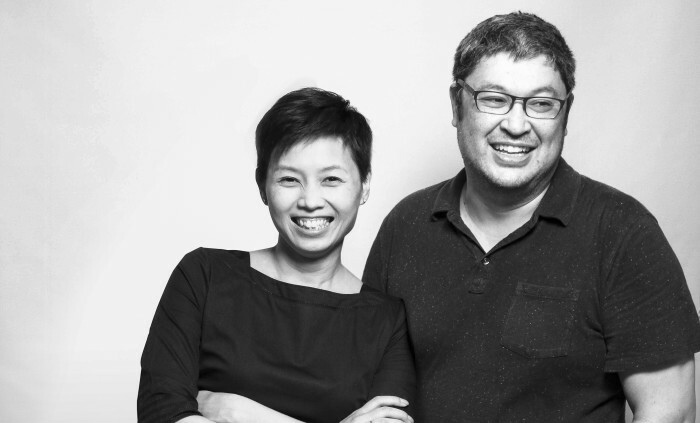 SearchGuru Hong Kong may be smaller than the media agencies or agencies that belong to big networks, but the company says it is not small in ambition. The performance in 2016 saw the agency pick up more than 20 new clients, including Ovolo, Abbott, MaBelle, Taikoo Place, Xiaomi and Cigna Insurance. The company has offices in Hong Kong, Malaysia and Singapore with a staff size of 40 people. Over the past 12 months, there have been a couple of key hires. One of the key appointments in 2016 was Gary Cheung as general manager and another key addition to the team was Elton Tsang as account manager. KFC braved the floods to give a special birthday surprise to one courageous longtime elderly resident who has not been able to lea..